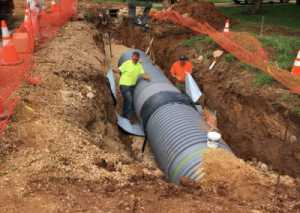 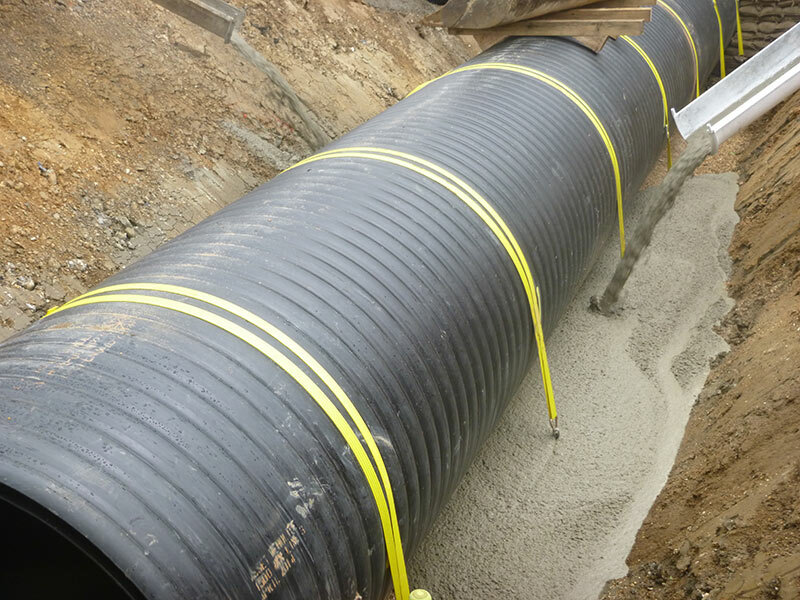 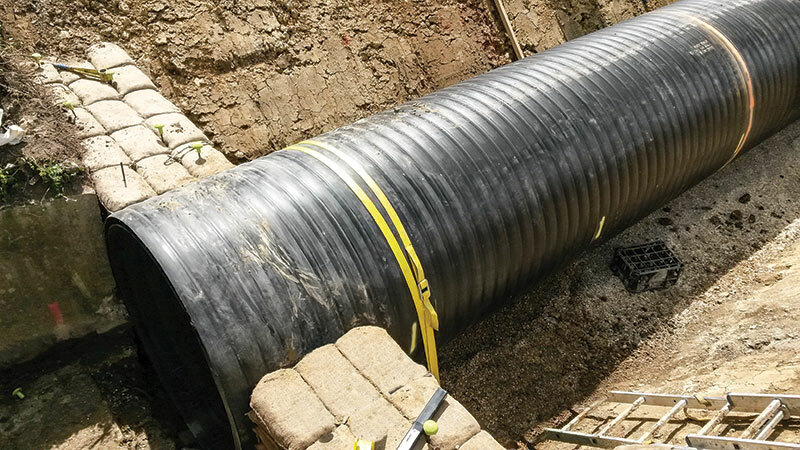 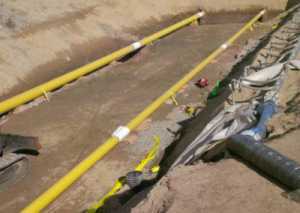 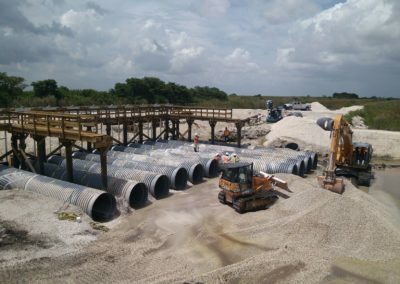 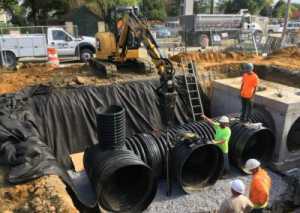 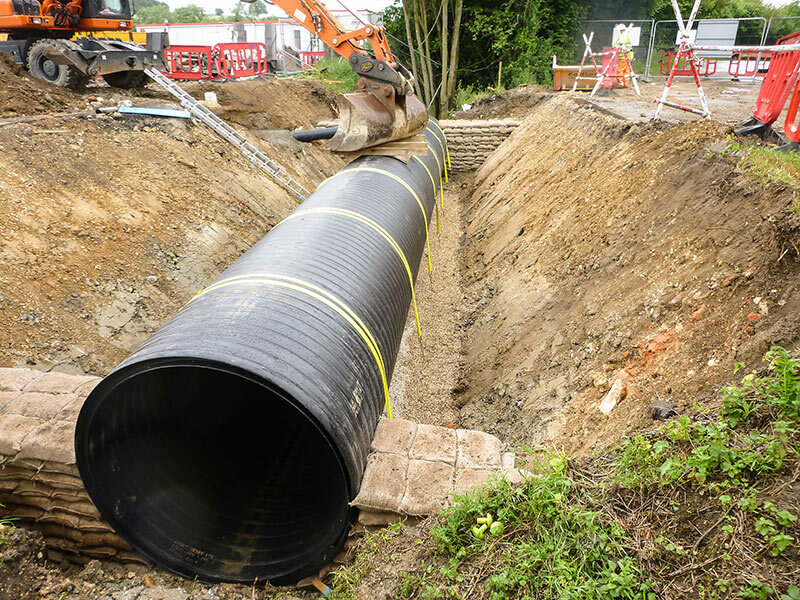 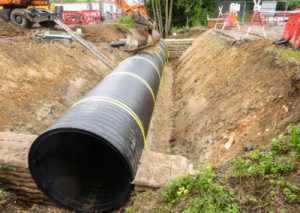 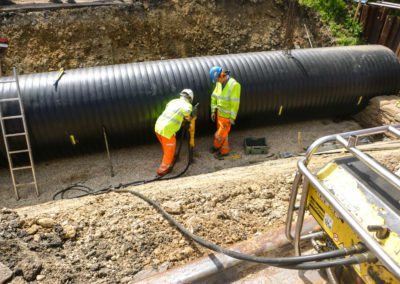 A culvert at Chilton Street was being replaced with a 1500mm diameter twin wall polyethylene pipe encased in lightweight concrete, as the original brick structure was showing signs of failure. 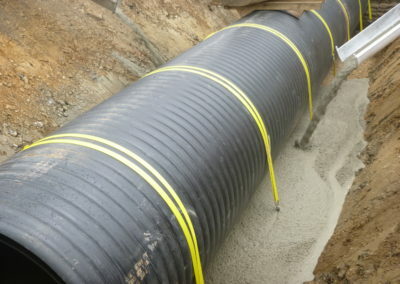 Some means of holding the pipe down against buoyancy whilst the concrete cured was required. 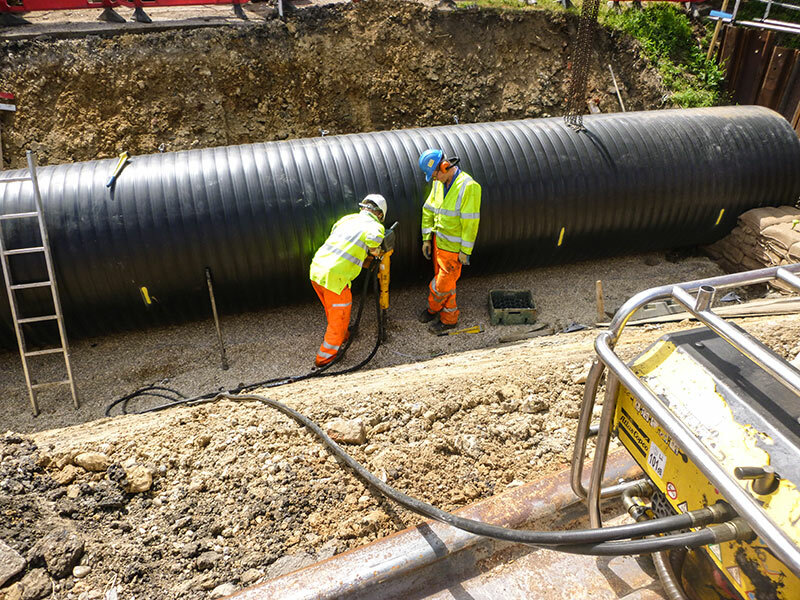 Following examination of borehole data, it was determined that Platipus S08 anchors installed at 1.5m centres in pairs either side of the polyethylene pipe and then linked with 50mm wide nylon webbing would provide sufficient restraint against buoyancy. Anchors were quickly and easily installed to a depth of 1.5m then proof loaded to 10kN with a hydraulic jack. 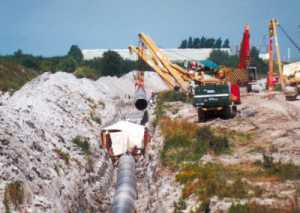 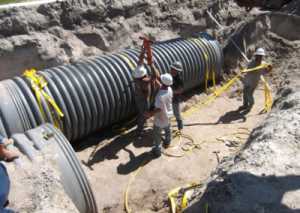 The webbing system was then connected, strapping the pipeline securely in position. 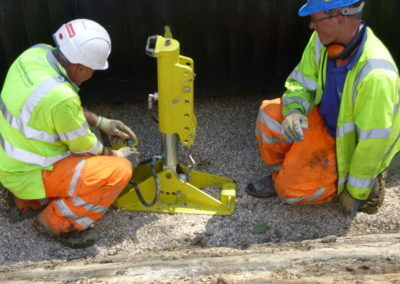 Pipeline Anchor System: S08EC galvanised spheroidal graphite iron anchor with 1.5m of 8mm Ø galvanised steel wire rope tendon and 50mm wide nylon webbing system.